Dubai Design District (d3) has successfully implemented the first set of smart initiatives and is now focused on delivering a further 21 initiatives and 45 smart services over the next five years with a view to generate savings of an estimated $98 million for their business partners and visitors. 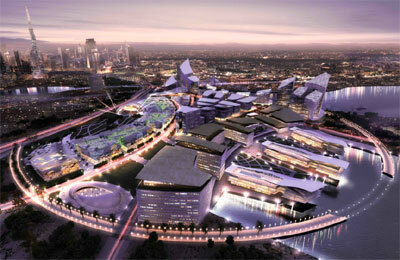 The d3 move is aimed at making Dubai the happiest city on earth as part of its Smart Dubai initiative. One of these initiatives is the multi-use Mobile Application (app) hosting light fidelity (LiFi) technology which provides a portable interactive guide of the design district direct to users’ smartphones. It is the first deployment of this cutting-edge technology in the Middle East, developed by Zero1 which recently won an award for the app at the French Tech Dubai UAE Award 2017, said the statement from d3. Mohammad Saeed Al Shehhi, the chief operating officer of d3, said: "As a strategic partner to Smart Dubai, we follows a holistic approach to enhance the quality of life and work of our business partners through the delivery of smart concepts and services." "The implementation of these smart initiatives demonstrates our commitment to providing an efficient, seamless, safe and impactful experience to our residents and visitors," stated Al Shehhi. Zero1 CEO Marc Fleschen said: "This is an exciting and significant development and we are delighted to launch the first live LiFi deployment in the Middle East at d3. This launch is a testimony of d3’s forward looking mind-set in providing an enhanced smart city experience to their clients, and we are pleased d3 has selected Zero1 to accompany them on this futuristic path." ICT Masterplan Guidelines: A comprehensive set of smart infrastructure guidelines any city can use to design smart services and smart districts. These guidelines are the first-of-its-kind in the world and represent a key milestone in Dubai’s journey towards becoming a Smart City. Integrated Data Virtualization: A bespoke platform that connects various data systems and allows centralized control to receiving real-time information on occupancy, people flow and energy consumption enabling actionable intelligence. Sustainability: Through the installation of smart meters, solar rooftops and energy dashboards, tenants can achieve energy consumption reductions of 12 – 30 per cent. Time Saving: Improving efficiency through zero touch smart security the first 3D facial recognition access control in the region. Connectivity: The smart Wifi system installed allows the monitoring of crowd location and movement useful for events management. The WiFi connectivity is supplemented by LiFi used to provide an interactive guide of the design district via the d3 mobile app. Al Shehhi said d3 was dedicated to developing a creative destination that is rooted in cutting-edge, intelligent design contributing to Dubai’s vision for an efficient, impactful, seamless and safe city.